Thank for the honor of representing you in the California State Senate. We are living in exciting, yet scary, times, and now more than ever California must lead. Thank you for the honor of representing you in the California State Senate. We are living in exciting, yet scary, times, and now more than ever California must lead. I'm committed to moving our state in a positive direction. Last week was the deadline for bills that I'm authoring to be passed by the Senate and head to the Assembly for consideration. We had some real successes, including passage by the Senate of my bills to expand use of solar power and energy storage in California, streamline the production of housing for all income levels, modernize discriminatory HIV criminalization laws, protect LGBT seniors in long-term care facilities, strengthen food access for low-income communities, and allow (but not require) local communities to extend the sale of alcohol in bars and nightclubs (but not liquor stores) to 4 a.m. In addition, a number of bills I was proud to co-author passed, including bills establishing a single-payer healthcare system, requiring presidential candidates to submit their tax returns to be eligible for the California ballot, and creating a third gender marker on government forms for non-binary and transgender people. I'm eager to persuade the Assembly to pass these bills and the Governor to sign them. 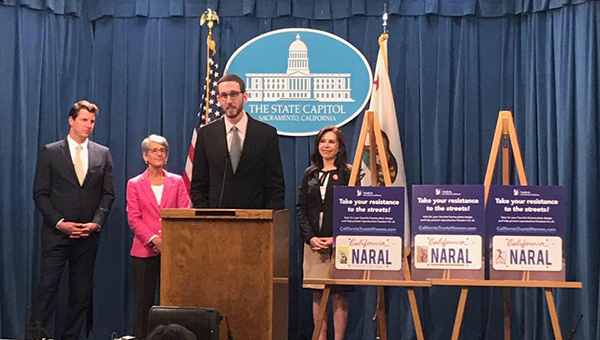 Senate Bill 35: SB 35 is designed to address California's severe housing shortage - a shortage that threatens our state's economy, environment, and quality of life. The bill creates a streamlined approval process for housing at all income levels in communities that are not meeting their housing creation goals as required by the Regional Housing Needs Assessment (RHNA). Here's the San Francisco Chronicle's endorsement of the bill, and here's a video of my remarks on the Senate floor about the bill and our housing crisis. Senate Bills 71 & 700: SB 71 authorizes the implementation of a requirement to include solar panels on new buildings in California. SB 700 creates a rebate program to help electricity customers install energy storage systems in their homes and businesses, which will spur the expansion of the solar energy storage market. Currently, solar systems produce a lot of energy during the day when people aren't home and little or no energy when people get home later in the day. By making it easier and more affordable to install energy storage systems, people can store energy produced when they're away and use that energy at night. SB 700 will accelerate California's move toward 100% clean and renewable energy and away from fossil fuels. Senate Bill 219: SB 219 creates a bill of rights for LGBT seniors living in long-term care facilities such as nursing homes and assisted living. The bill protects LGBT seniors against discrimination based on sexual orientation, gender identity, gender expression, or HIV status. Senate Bill 239 : SB 239 reforms outdated HIV criminalization laws enacted during a time of fear and ignorance - the same time period when people were seeking to quarantine HIV-positive people. Currently, sexual contact by people living with HIV can be a felony even if no infection occurs and even if there's no risk of infection. By contrast, other serious infectious diseases are treated as misdemeanors. SB 239 treats all serious infectious diseases equally, as misdemeanors and puts an end to this discrimination. Senate Bills 278 & 282: SB 278 and 282 expand access to CalFresh (formerly known as food stamps) for our lowest income residents. The bills do so by ensuring that inadvertent over-issuances of CalFresh benefits, through no fault of the recipient, don't drive the recipient into bankruptcy and by allowing people who don't have access to a kitchen - for example, homeless people and some seniors and people with disabilities - to use their benefits to buy pre-prepared food. Senate Bill 384: SB 384 allows, but does not require, local communities to extend the hours of alcohol service in bars and nightclubs (but not liquor stores) to as late as 4 a.m. Currently, California has a rigid 2 a.m. end time statewide, no matter how big or small the city and no matter what the nature of the city's nightlife. SB 384 will provide local control for communities to make this decision for themselves. Nightlife is hugely important to California's culture and economy, and SB 384 will support this critical part of our state. Thank you for allowing me, and trusting me, to do this work as your Senator. 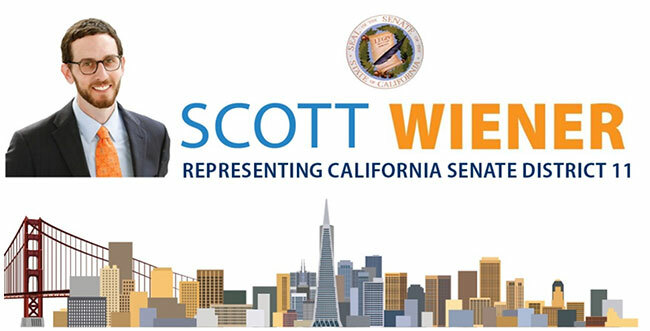 As always, I'm proud to represent San Francisco and Northern San Mateo County in the Senate.